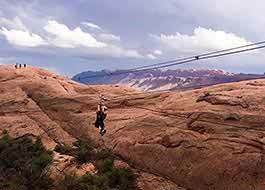 Extraordinary terrain, astounding viewpoints, historic sites and endless networks of trails make Moab, Utah the world's number one off-road destination. 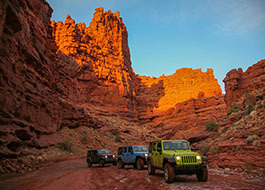 Whether you're a veteran off-road driver or a first-time novice, we'll help you find just the right trails to explore. 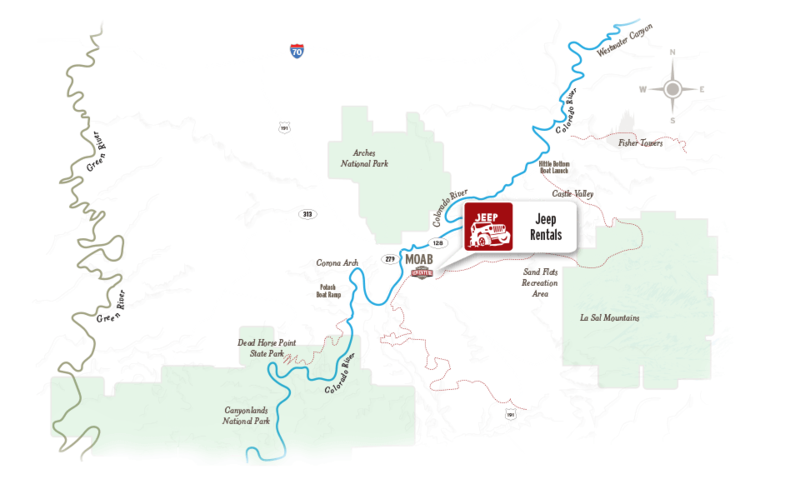 Moab Adventure Center partners with Canyonlands Jeep Adventures to make your Moab jeep rental experience simple and convenient by outfitting you with helpful area maps, a cooler stocked with water, and expert advice that will take you into the back country with confidence. 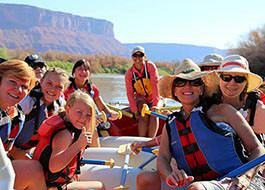 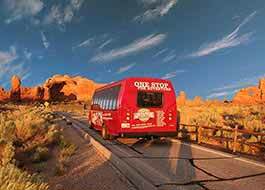 This is the ultimate vehicle to get out and see what Southeastern Utah has to offer.  This Jeep comes with a 2.5 inch lift, 4 doors for easy accessibility for those sitting in the rear seat and more cargo area for all your needs, plus with seating for five everyone can ride together.